Event Coverage Archives - talent network, inc.
talent network, inc. had the honor of being apart of the 2019 Western Veterinarian Conference with Hills Pet Nutrition and Merck Animal Health in Las Vegas. The speakers at this conference consisted of Mayim Bialik from the Big Bang Theory and Mel Robbins a CNN commentator and motivational speaker. A live performance from Keith Urban left the crowd in awe after the speakers got their attention with their talks about women in science and gaining motivation for every day life. Take a look at the quick video footage from the weekend. On the day of love, talent network, inc. had the honor of providing the casino party entertainment for the annual Pittsburgh Penguins Foundation, Night of Assists, presented by Highmark. Fun was had by all as PPG Paints Arena was transformed into a lovers Speakeasy. The Pittsburgh Penguins hockey players dealt the casino games to all of the attendees, making for fun conversation all night long. All proceeds from the evening went to The Pittsburgh Penguins Foundation. To book casino party entertainment for your next corporate, convention, college or private event, contact us here at talent network, inc.
Lee Terbosic, Magician and Illusionist performs a trick for the new head of the PCMA Conference. Beauty Slap, performs a song for the crowd. 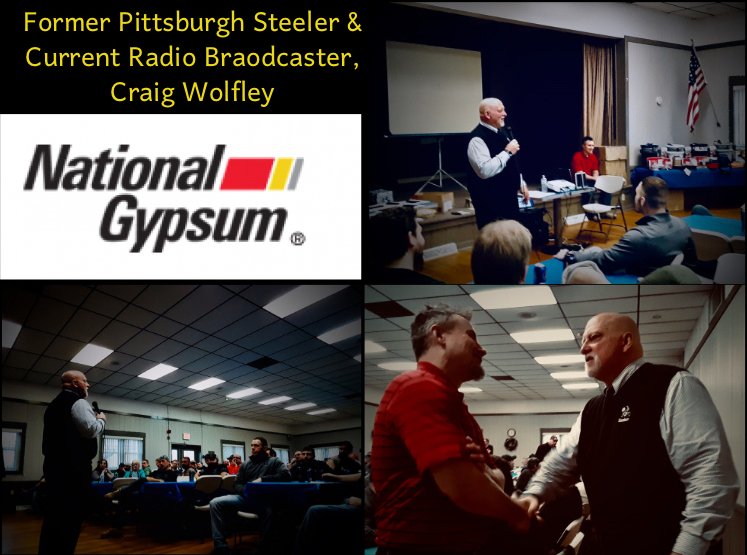 To hire Lee, Beauty Slap or Lyndsey Smith for your corporate, college or private event, contact us here at talent network, inc.
Former Pittsburgh Steeler and current Radio Broadcaster, Craig Wolfley talked to employees of the National Gympsum Company (NGC) Industries about team building and motivation. To hire talent or entertainment for your next event, please contact us here at talent network, inc.